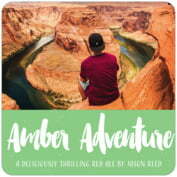 Use your words with our beer coaster styles, shapes, and colors. 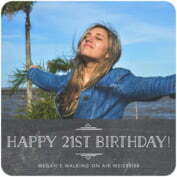 Ordering is fast and easy, and you can order as few as 12 coasters! 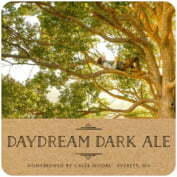 Evermine beer coasters are specially designed to protect tables and furniture from cold beer glasses and overflowing beer. 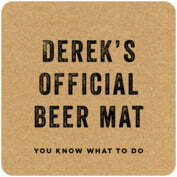 And that's what our coasters were originally designed to do. 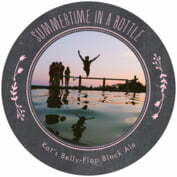 We have expanded their versatility to go beyond — for wine, water — but deep in their hearts, these coasters belong to beer. 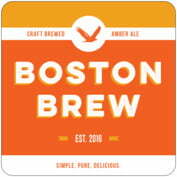 You can also get our beer coasters in all of our beer styles and all of the color options as well. They come in sets of 12 for less than $12. 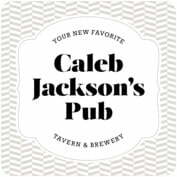 Our beer coasters are extra thick — they are made of 58-point absorbent pulpboard to protect your tabletop, and the top surface has a smooth matte coat to provide beautiful, rich printing. 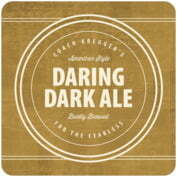 You personalize the beer drink coasters with your words; the text on the coasters above is for example only. Small quantities are what we are all about so you can get just the amount you need, and ordering is fast and easy. 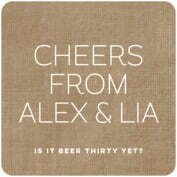 Plus, you are sure to be happy with your personalized coasters. 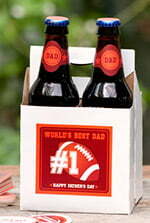 We are the only place we know of that offers a money-back guarantee on personalized products. 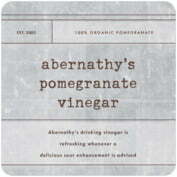 Use your words with our coaster styles, shapes, and colors. 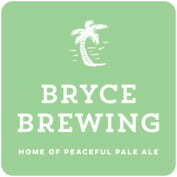 Personalized custom coasters are designed to match our label styles and colors, and you can expect the same exacting quality and individual typographic styling on the beer mat as you get on our labels. 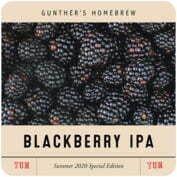 You can also get beer tags, beer labels and stickers to match your custom bierdeckel (beer coasters). A custom personalized beermat coaster set is the perfect way to express your individuality, commemorate a special occasion, or celebrate your perfect brew or excellent wine vintage. 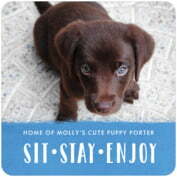 Personalized beer mats or bierdeckel make an excellent hostess gift as well. 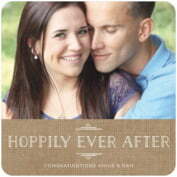 The coasters are personalized with your choice of words and are printed in color on one side, on absorbent extra-thick coaster paper. 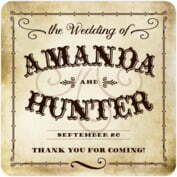 Beer coasters also make excellent favors or gifts for long-distance events because of their small size and personalized message. They are perfect for a traveler to bring to a wedding, birthday, anniversary, graduation, bar or bat mitzvah, baptism or any other special celebration. 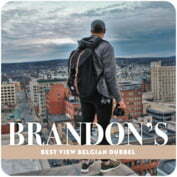 Bierdeckels are also perfect for weddings, showers, anniversaries, and other romantic events. 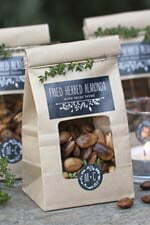 You can also serve them to guests, use them for your dinner party, or give them as a hostess gift when you visit friends. A coaster set is also an unforgettable way to commemorate fund-raising events, family reunions, retirements, birthdays, and a housewarming or club party. Note: Our guarantee covers all standard personalized products, but does not include special change requests including color or font changes, adding a photo or art, or using custom art.